When Android Lust released Crater Vol. 1 in early 2013, some might have seen the album’s more progression into more ambient moods to be a departure from the project’s usual acerbic energy. Since then, all has been relatively quiet on the Android Lust front, broken by a new crowdfunding campaign for what would become the sequel to Crater, culminating in the experimental industrial act’s sixth full-length album. 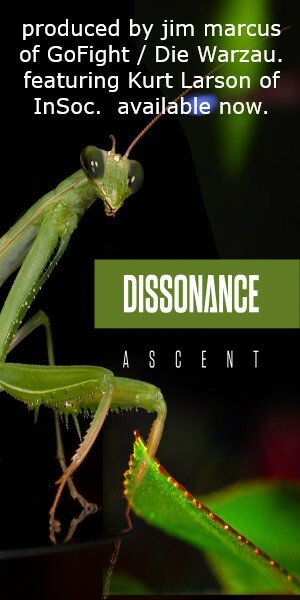 Crafted from Shikhee’s singularly focused and exploratory sound design, using the palette of field recordings taken by the artist in the German capital, Berlin continues where the first Crater volume left off while incorporating the same melodic and grooving moments that have defined Android Lust. Howling layers of distortion fill the speakers, gradually gaining in fervor like a machine screaming in its death throes, before suddenly dissipating into an ominous bass pulse compounded by waves of samples, noise, a caustic drumbeat, and repeating phrases of steely guitar and synth. So begins the introductory “Eclipse” tracks, setting the stage for Berlin with darkly seductive aplomb that is so intrinsic to Android Lust’s style. Following in a similar vein is a track like “Heart Tunnel,” its bouncing synth pulses and screeching bellows of guitar noise underscoring Shikhee’s sparsely melodic vocals building to an emotive crescendo, while “In Memory” plunges the listener into a haunting audio habitat of electrified static, groaning machines, and labored gaseous breathing, as if to give voice to the post-industrial skyline of a city without time or place. “Madness in Men” is pure IDM bliss with its spastic and percolating layers of electronic percussion and synth arpeggios, Shikhee’s infectious melodious building in intensity to her usual ghostly and wispy effect. Other tracks like “Daughters of Dawn” with its pulsating bass and Shikhee’s forceful yet eerie vocal harmonies, the throaty distortions underscoring corrosive guitar phrases and a throbbing beat in “Crawl,” and even the minimalist “Plaza Steps” all evoke a tone and mood more reminiscent of the band’s more accessible qualities. “Eventide” concludes the record with an unsettling thrum of bass, trickles of organic and synthetic atmospheres evoking a pensive symphony of decay and disconnect, the sounds of dissonant voices and guttural distortions coalescing into a mélange of ambient noise. Like the preceding album, Berlin (Crater Vol. 2) is an introspective journey through the more experimental aspects of Android Lust, infused with a palpable vitality that undoubtedly stems from the artist’s observations of a vibrant and complex locale. With a more discernible emphasis on rhythm and melody, Berlin is perhaps slightly less obscure than its predecessor, but the nuances of organic instrumentation with Shikhee’s renowned prowess in synthesis makes for a listening experience that will yield new surprises each time. This is coupled with the rather brisk pace at which the album flows, wherein several tracks abruptly end to keep the listener off balance as one might be visiting the titular city for the first time. 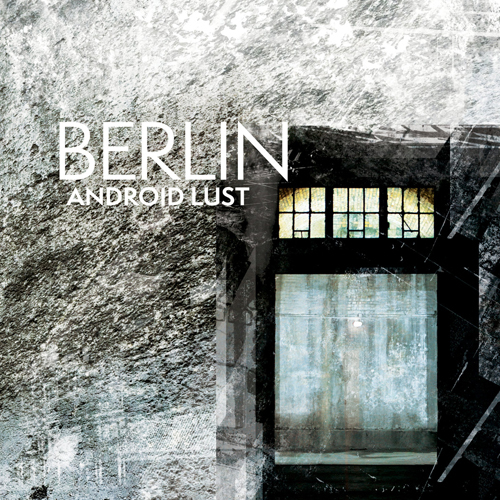 Six albums in and Android Lust continues along an adventurous path that few others in industrial music can lay claim to.